That’s a mouthful of a common name, but then Stelgidopteryx serripennis is a binomial tongue-exercise as well. We found five fledglings perched over the water. They were being fed at their perches and in mid-air, with the older and/or bolder siblings flying out to meet their busy parents. You can see the cinnamon color on the wings of these birds. And a little lemon-yellowy on the front? 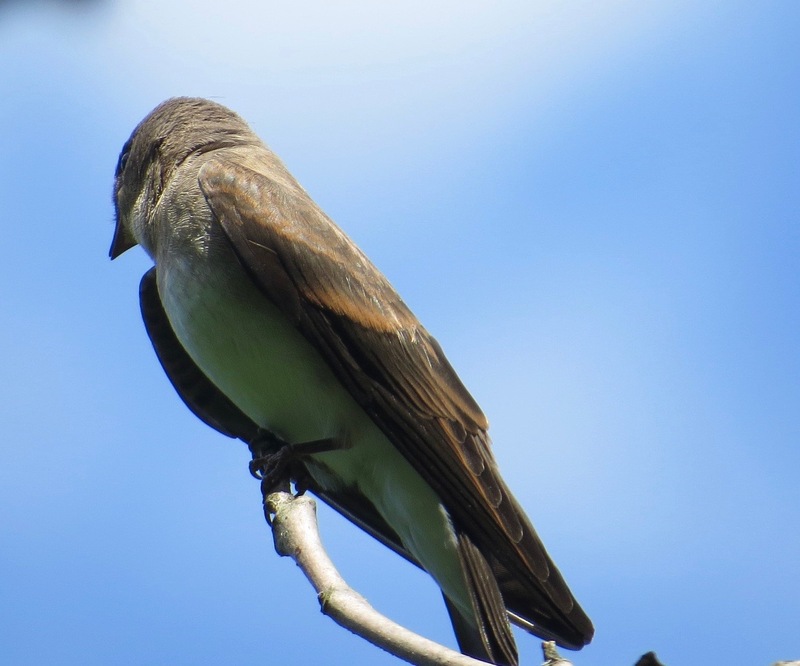 NRWS, the plainest of our swallows in terms of plumage, nest in holes in banks by rivers and creeks and highway cuts and escarpments. They’ll also build nests in various human structures, like drainpipes, crevices in buildings, and nooks under bridges. 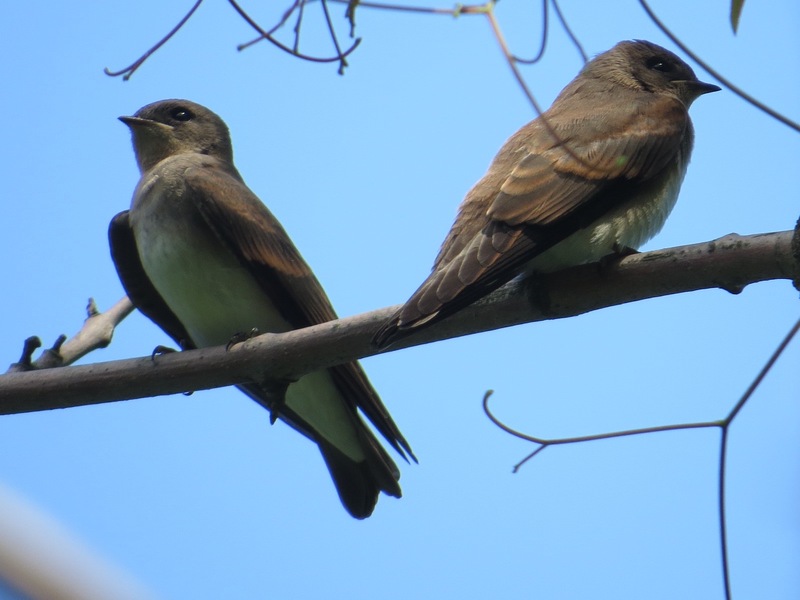 They’re not colonial like Bank Swallows, but will sometimes nest among them. 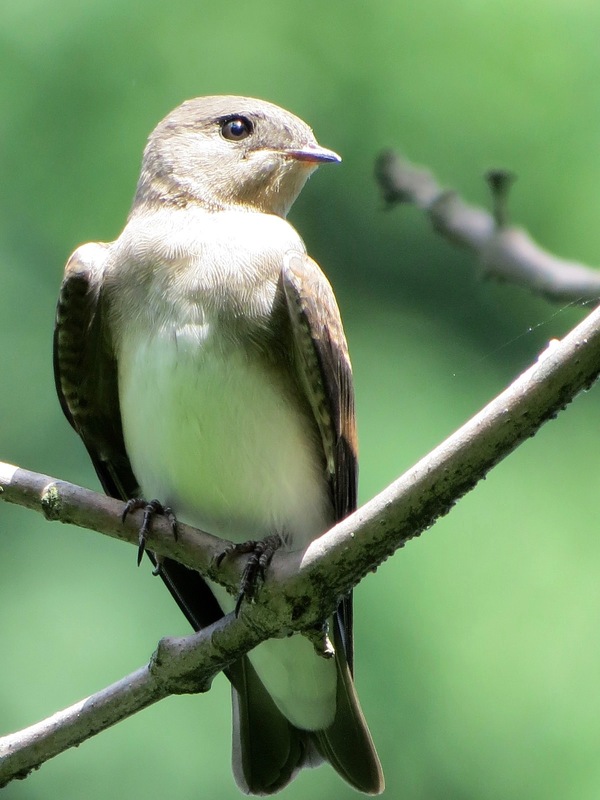 They’ve been recorded nesting in three of the five boroughs, with Manhattan and Brooklyn missing out. 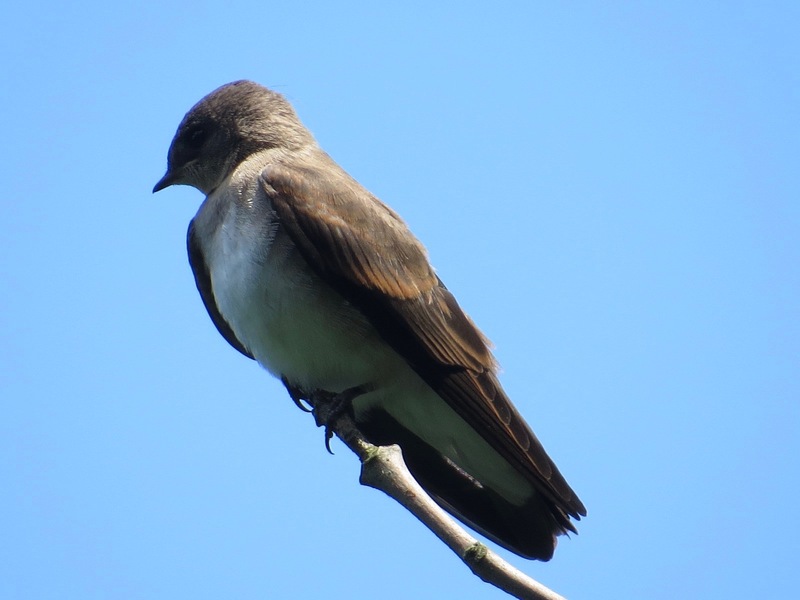 (Governor’s Island, technically part of the borough of Manhattan, has seen them nest in recent years.) This particular nest is in the Bronx. Five to seven are in the average clutch. Both “rough-winged” and Stelgidopteryx serripennis refer to the same characteristic, the stiff, roughened edges of the primary feathers. Which means something with a bird in hand, but not so much to the observer from afar.